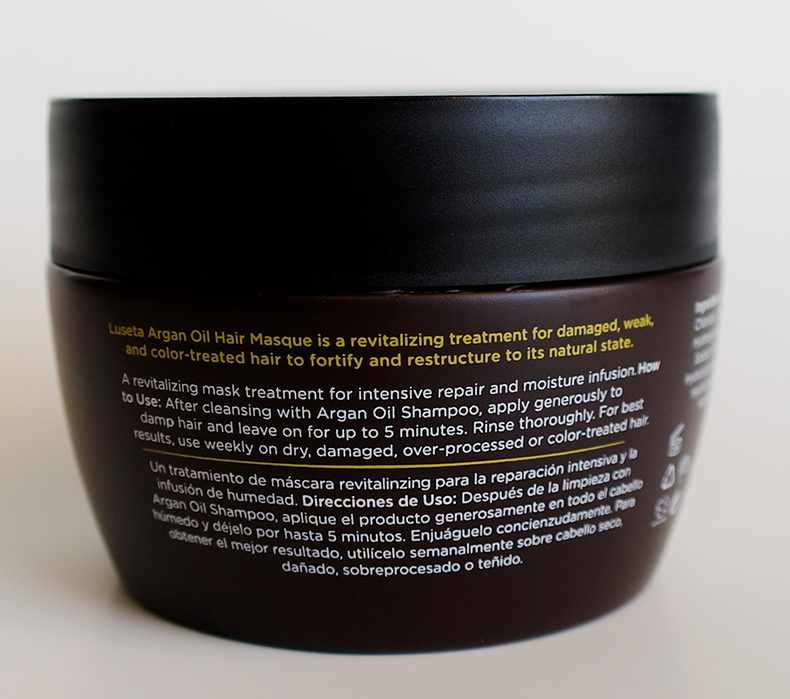 Bookish Lifestyle: Beauty Review: Luseta Beauty Argan Oil Hair Masque + Giveaway! 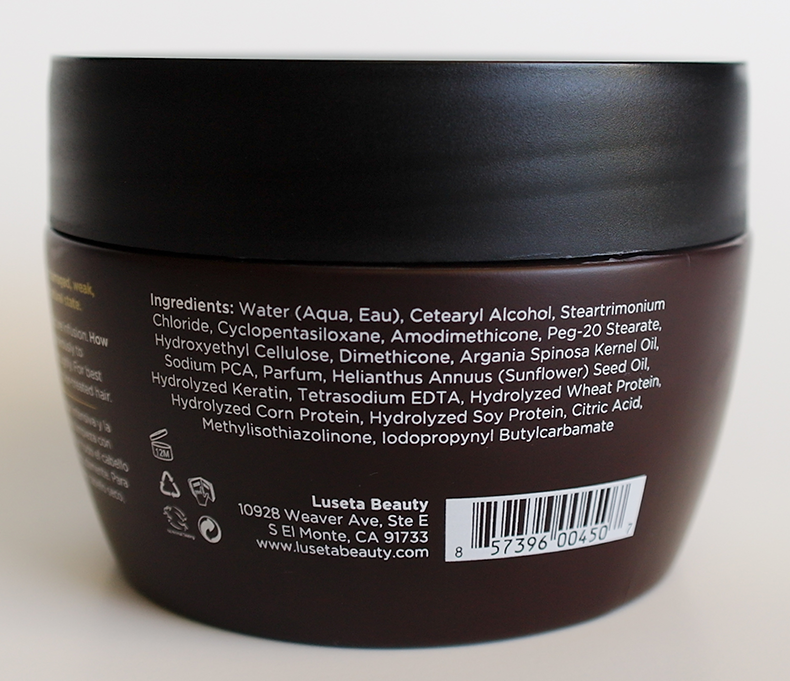 Beauty Review: Luseta Beauty Argan Oil Hair Masque + Giveaway! Absolutely amazing! I just washed my hair and used the masque for the first time and it was a hair salon quality experience - what a fantastic product! I've been using the Lusetta Tea Tree and Argan Oil shampoo and conditioner set religiously, because it is one of only three products that help with my perpetually itchy and dry scalp, so was thrilled to be able to try their hair masque, too. It lived up to all my expectations. It's even better than my usual Schwartzkopf hair masque of choice - it smells better and leaves your hair feeling baby soft. I applied the masque to the length of my hair, only making sure not to apply it to my scalp (I think you can probably do that no problem, but I have a problematic scalp, so decided to stay on the safe side), and left it in for about 5 minutes. It felt AMAZING. The first thing that hits you is the masque's absolutely phenomenal smell - can't be sure what it is exactly, but it smells along the lines of Moroccan Rose. 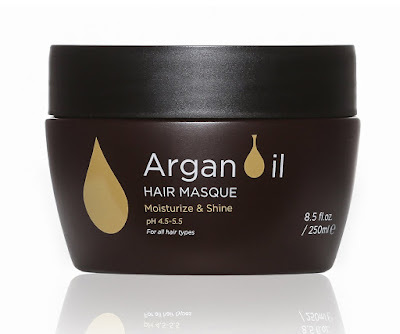 Then you feel the thick, silky texture of the masque and when you wash it out, you're left with smooth, tangle-free hair. My hair feels softer and does not look dry even after blow drying. I usually apply few drops of pure argan oil to the ends of my hair, because they tend to get extremely dry and weak, but this time I skipped that step, for there was absolutely no need for any extra moisture. I'm in love with this product and so very happy to have discovered this brand. My mother in law tried their shampoo line when she last came to visit and she is now a fan, too. I can't wait for her to try the masque! Disclaimer: I received a free sample of the product in exchange for my honest review. All thoughts are my own. IngredientsWater (Aqua, Eau), Cetearyl Alcohol, Steartrimonium Chloride, Cyclopentasiloxane, Amodimethicone, Peg-20 Stearate, Hydroxyethyl Cellulose, Dimethicone, Argania Spinosa Kernel Oil, Sodium PCA, Parfum, Helianthus Annuus (Sunflower) Seed Oil, Hydrolyzed Keratin, Tetrasodium EDTA, Hydrolyzed Wheat Protein, Hydrolyzed Corn Protein, Hydrolyzed Soy Protein, Citric Acid, Methylisothiazolinone, Iodopropynyl Butylcarabamate. 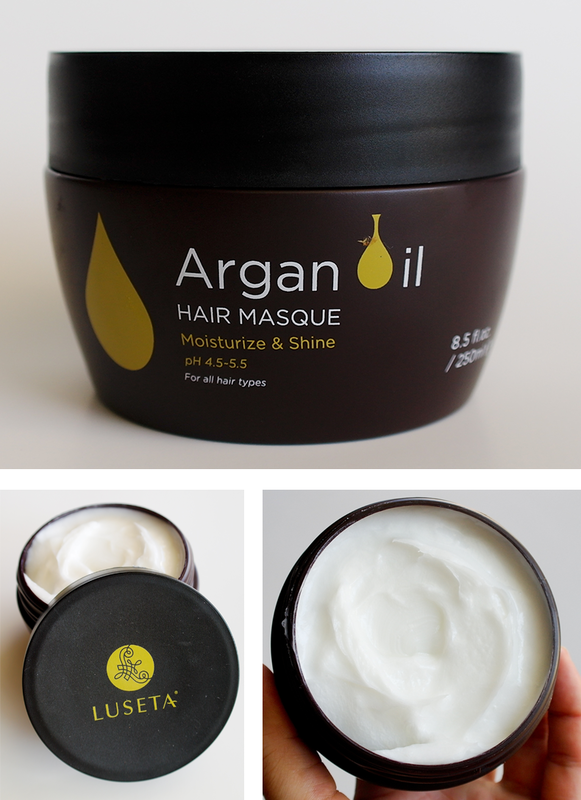 How to use: After cleansing with Argan Oil shampoo, apply generously to damp hair and leave on for up to 5 minutes. Rinse thoroughly. For best results, use weekly on dry, damaged, over-processed or color-treated hair. In Italy, lusso refers to luxury. Seta means silk. The inspiration for LUSETA comes from these words. Our philosophy is simple: to give luxurious, silky, and healthy hair to everyone in the world! Founded in 2011 by hair professionals with over 20 years of industry experience, LUSETA has been pursuing the goal to fulfill everyone's different hair needs. Our expertise and insight into the professional hair industry has pioneered us to make high performance hair care products with less harmful chemicals and the best natural ingredients on the market. Through creative thinking and by understanding the needs of our customers, we also pioneered in creating hair tools and accessories to deliver the best styling solutions. Great news my lovely friends and followers! Our last giveaway ($100 to Luseta Beauty store) was a big success, so today I get to share with you one more opportunity to win some awesome Luseta products! Are you ready for round two?